May 13th -May 28th 2017. RadiOpolis 2017: is a 2-Session <(8)days per session> Masterclass led by artist Craig Dongoski. The class will be held on the island of Kefalonia, Greece and hosted by Ionion Center for Arts & Culture. A call for applications is open and a mix of (12) visual artists, musicians, programmers, filmmakers, writers, performers will be selected based on individual strengths and willingnesses to cooperate within group dynamic. This will be a multidisciplinary program. There will be no priority placed on a particular medium. We will instill and operate from an openness dictated by the make-up of the collective artists meshed with the experience on the island. Our focus is on producing new models & new vocabularies. Artists will have the option in their pursuits to be as raw and removed from technology as they prefer and/or as immersed. 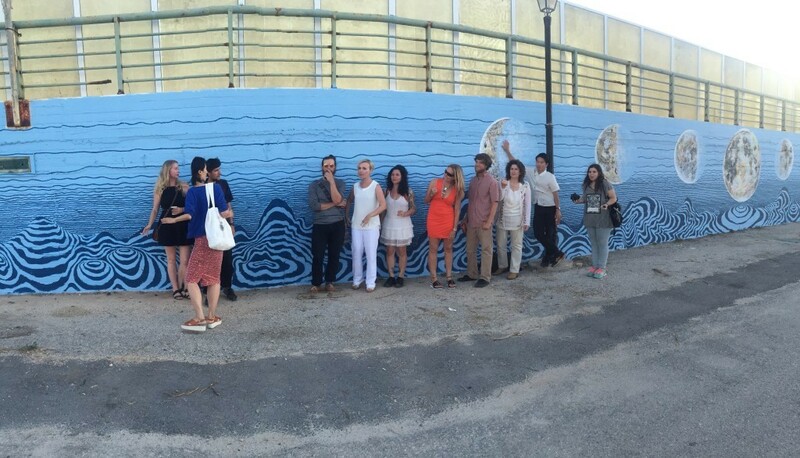 There will also be an opportunity to contribute to the painting of a significant mural in Kefalonia.